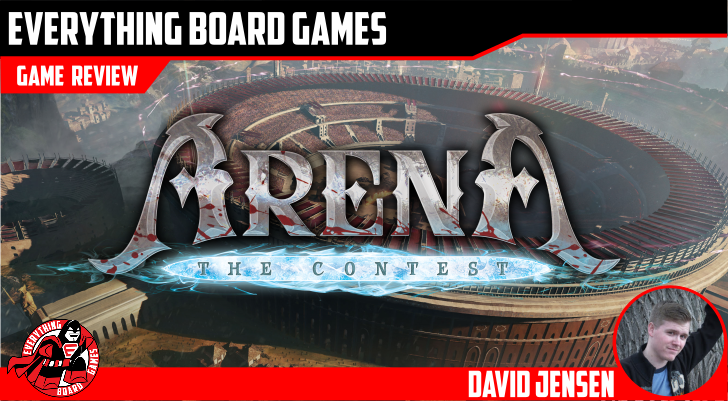 WARNING: This is a preview of Arena: The Contest. All components and rules are prototype and subject to change. After centuries of bloodshed, the Emperor decreed that war would be outlawed across the land of Tanares. But conflict is inevitable, and so the Emperor decided that conflicts and disputes between nations would be decided in single combat. Those selected by their nations are appropriately called "heroes." You are one of these heroes. Welcome to the ARENA! Arena: The Contest is a fantasy combat game with unique player characters, dice rolling, and tile placement. Assemble a team of heroes to battle against your enemy, or team up with heroes of other nations to combat foes that threaten all of Tanares! Arena has two different game modes: Competitive, where two teams of heroes fight to the death; and Cooperative, where a team of heroes works together to complete either a single quest or an epic campaign. Each mode has unique rules of play, but the basic rules of combat are the same. Turns are decided by alternating heroes in Competitive, whereas in Cooperative all heroes act, followed by all enemies. Each turn has three phases: Start, Action, and End. At the start of the turn, temporary effects are removed and other effects are looked for, and at the end, the team token is moved to the next hero (and flipped if it was inactive at the start of the turn). The Action phase is where the fun happens, as each hero has a Move action and a Prime action. Moving can involve either traveling across the board or sidestepping an enemy to avoid a reaction attack; Prime actions can include moving further, using a Heroic Action card, or attacking an enemy. Attacks can be broken into four categories: basic, primary, special, or reaction. 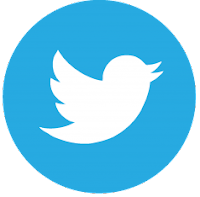 Basic attacks are the simplest, and often weakest, form of attack. 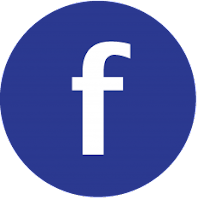 The most often used attack is the primary attack, which differs from hero to hero. Special attacks, which are also unique to the hero using them, are very powerful, but can only be used once per match. (Each hero's primary and special attacks, as well as their health, attack, and defense, are listed on their Heropad.) Reaction attacks are made during an enemy's turn if they are standing next to you and try to move away or attack a target at range. There are a multitude of other rules, including line of sight, effects, range, and Artifact/Scroll cards, but all of these modify the basic rules of attacking and defeating your opponents. The prototype components, including Heropads, the modular board, miniatures, tiles, cards, and the rulebooks. Setup for Competitive is done in a back-and-forth manner. To start, players divide themselves into two teams, then decide how many heroes each side will have. After teams have been decided, the board itself must be built. There are three ways to do this: by using the preconstructed map on the back of the board, both teams freely placing tiles around the board, or following the "competitive" placement rules by going back and forth between teams to place a finite amount of tiles. Finally, teams recruit and place heroes into the arena, gather their heroes' Heropad and cards, place each hero's token on the board to mark their health, take one of the 20-sided dice, and choose two Heroic Action cards to use. Commence battle! The arena has been set for a four-on-four fight to the death. Who will survive? Arena has a major fantasy theme, in case that was not already clear. Everything from the different hero classes (like paladin, bard, and wizard) to the use of artifacts and scrolls brings this theme into the game, and it's reinforced well with the artwork on the Heropads and cards. The mechanics are also reminiscent of fantasy RPGs like Dungeons & Dragons. It does, however, deviate from what might be considered "typical" fantasy, adding archetypes like samurai, archangels, and telepaths into the mix. The samurai, witch, and archangel face off against the amazon, sorcerer, and werewolf. Mechanics-wise, this game will be very recognizable to fans of RPGs and miniature battle board games alike. 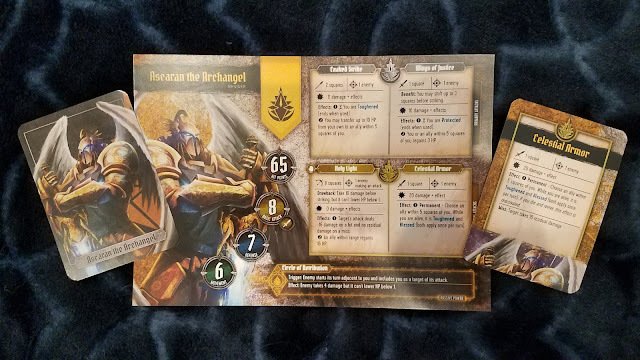 Each turn, a character can move across the battlefield and perform an action (either an additional movement, an attack, or use of a Heroic Action card), and play then passes on to the next character in the turn order. Attacks are decided by the roll of a 20-sided die, or d20, so there is a bit of luck involved as well as strategy. There are also several rules that impact a character's ability to attack, such as terrain and obstacles, line of sight, ganging up, and shooting within melee range. 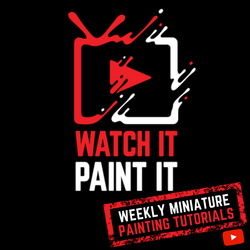 Those who enjoy such minutiae in their miniature battle games will likely feel right at home. The specific mechanics for cooperative gameplay double down on the RPG elements by adding in experience, which can then be traded in to buy Level UP, Artifact, Scroll, and Heroic Action cards. 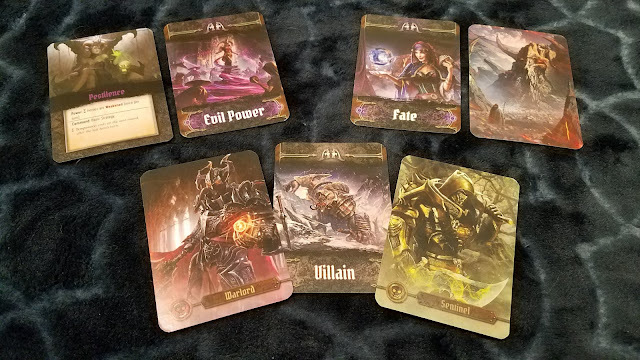 Heroic Action cards can provide a powerful one-time effect without requiring a dice roll, Scroll and Artifact cards provide passive buffs and one-time-use spells that can add some additional potency to battles, and Level UP cards permanently increase your character's abilities! Some of the cards you'll run into in cooperative gameplay. 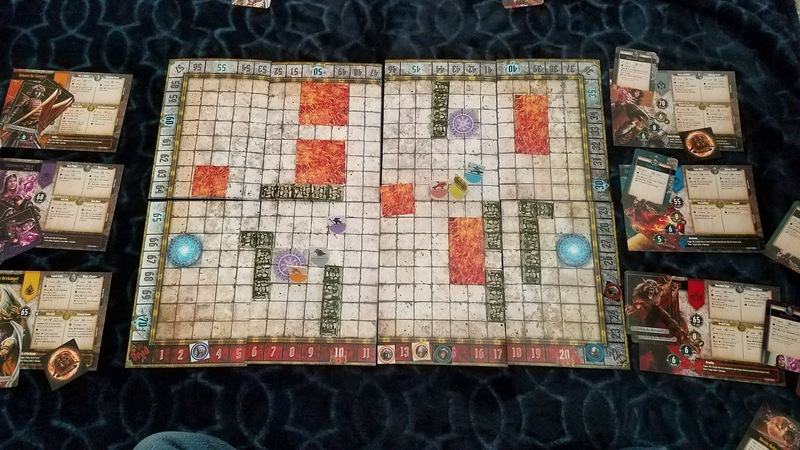 While I had initial doubts that Arena could hold its own as a board game version of tabletop RPGs, I was pleasantly surprised at its scope, its versatility, and above all else, how fun it was. Combat in our competitive game we played was brutal, and it served to show how each character and class has its own unique methods of strategy. 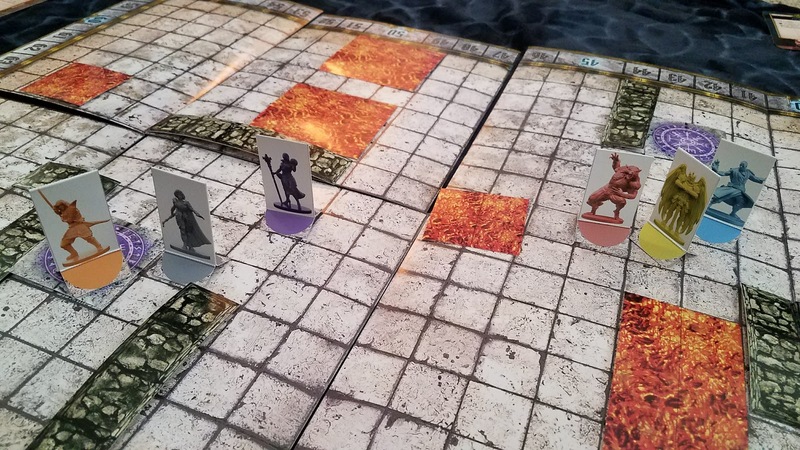 While there was some worry of Analysis Paralysis, combat went fairly quickly and smoothly with our group, and the rules for combat, movement, and the environment didn't bog down the game as it might otherwise have. 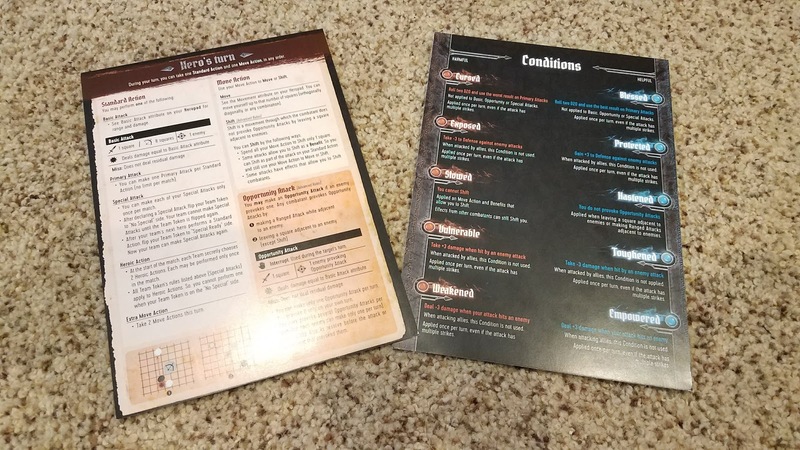 As part of the prototype, we had the chance to try out a preview of one of the cooperative missions, wherein our group was sent to eliminate the powerful vampire Count Gazini. The in-story explanation of the mission was set up well, and we were largely able to explore the map without having to constantly check on the rules. That's not to say we breezed through the encounters - the vampires we fought were tough, and we barely escaped with our lives (and plenty of experience, of course). Said preview was only a taste of the final game's cooperative quests, which should be quite impressive in scale - Dragori Games plans to include a Campaign Tome with the game, which will be chock full of quests you can either play individually or as a full-fledged campaign. The samurai and the witch try in vain to take down the amazon, while the archangel holds the werewolf and sorcerer at bay. Arena has some of the most gorgeous character art I've seen in a while. The designs are crisp and clean, bringing the world of Tanares to life in front of your eyes. The tiles are also very well detailed, and the board's design does a great job of tracking character health without bookkeeping (plus, there's something particularly nerve-wracking about your character's health dipping below 20 and entering the health track's blood-soaked end). A close-up of Ascaran the Archangel's Hropad and cards, which further detail his abilities for clarity. Because of the nature of prototypes, I can't speak for the quality of all of the components, of which there are many; aside from everything I've mentioned thus far, the game also comes with two two-sided player aids, detailing the use of tiles, the basics of turns, and details on all possible conditions (such as bonuses to rolls) that can be caused by attacks. However, should the final components closely mirror what I had to work with, this game will likely stand toe-to-toe with its competition. The board was very simple to set up, the tiles were easy to place, and the cards looked to be very high quality. 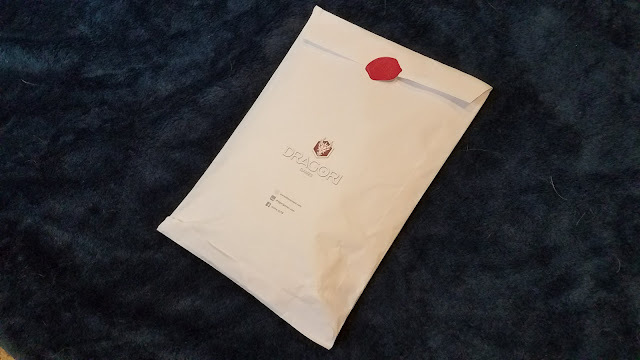 The only components I cannot comment on for a certainty were the miniatures, but Dragori Games has been constantly putting out more images and information on their website, and it looks like their miniatures are going to be top-notch. My only major criticism of the game materials is the rulebook. Now, I want to be clear - the rules themselves are relatively complex, but they work really well and can be mastered over the course of a few games. My concern lies with the actual rulebook, which seems unnecessarily complicated. 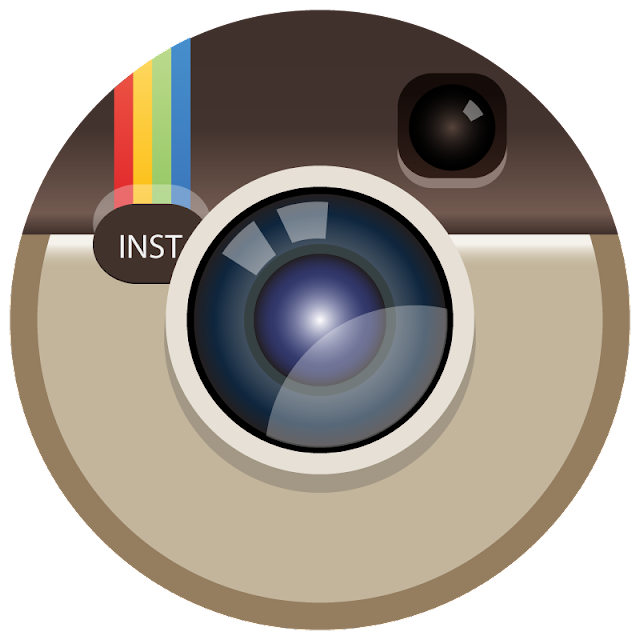 Sections are broken down into subsections and sub-subsections. The act of making an attack covers six pages, and even something as simple as moving takes an entire page to outline. 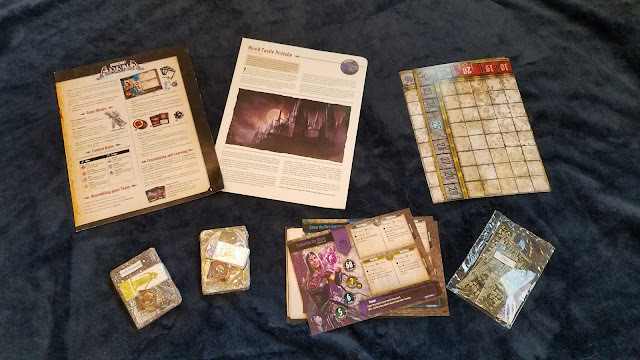 I assume that this was likely done in an attempt to keep the rules organized and prevent any confusion, but it comes off as an overload of information, some of which is obvious to all but a complete novice of board games or tabletop RPGs. Seriously, who doesn't love player aid cards?? 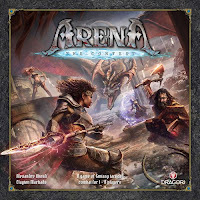 In its cooperative gameplay, Arena does a great job of bringing the dungeon-delving of tabletop RPGs to a board game setting, and its leveling system works well to let players develop their characters' advancement as they see fit. The competitive side, though, is where the game truly shines. Fast-paced, vicious battles where the tide can turn in a single round makes strategy crucial, and the versatility of how to play (which characters to choose, how many players/characters on each team) means that you'll likely never have the same battle happen twice. I did also like that there was some backstory and world lore on the game's website, and though I have no idea of how much of that will actually be in the game proper, the idea of a Campaign Tome gives me some hope. As mentioned prior, the dense and overly complex rulebook is the only major issue I had with this game. The only other thing I could complain about? How much more I wanted to try! Only getting a taste of the quests and a handful of characters to fight with left me dying to try out the final product, miniatures and all. 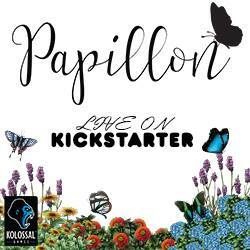 <<<UPDATE>>> We have talked with the publisher and they are working on an updated rulebook. With the "battle royale" video game genre becoming popular lately, I've yet to see a board game do something similar. And while Arena: The Contest is more geared towards teams instead of individuals (though you could certainly try it that way), it still does a pretty great job of bringing that fight-to-the-death vibe to the table. 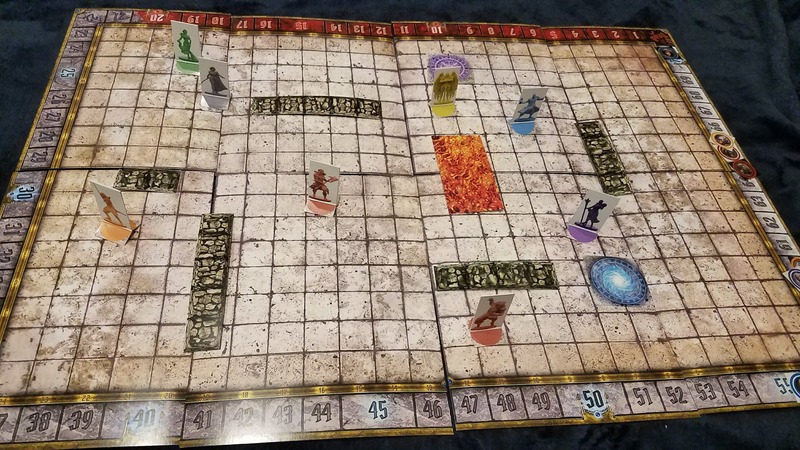 Fans of Gloomhaven, Mage Knight, or Zombicide looking for an additional "last man standing" game mode will find that Arena fits the bill quite nicely. Those who enjoy Duel of Ages II will also likely enjoy its competitive and teamwork aspects. Coming to KICKSTARTER March 27, 2018. David Jensen has tried his hand at everything from warehouse work and washing dishes to delivering pizza. Now, he writes reviews, edits a literary magazine, and works in a chocolate shop. When not busy procrastinating, he's playing tabletop games with friends and writing fiction.